Delhi University or DU is one of the top-ranked central universities in India. Not just known for its heritage and legacy, the university is also popular as a budding ground for future intellectuals, thinkers, and policymakers. There are 77 colleges affiliated with the university. Check DU Affiliated Colleges. Delhi University has produced some of the leading names in the fields of Sports, Cinema, Journalism, Politics, and Commerce etc. It offers UG, PG, M.Phil. and Ph.D. Courses in a variety of discipline. The admission process for all the degree programs is conducted separately. Check complete list of Delhi University Courses. The university has two main campuses- one in North Delhi and another in South. The campus at North Delhi is the home to prestigious institutions such as Miranda House, Hindu College, St. Stephen’s College, and Delhi School of Economics etc. and the South Campus is the home to colleges like Sri Venkateshwara college, Jesus and Mary college, and SP Jain Centre for Management Studies etc. Delhi University offers courses in a variety of disciplines in UG, PG, M.Phil., and Ph.D. degree programs. In UG program, it offers both General and honors courses in Arts, Science, and Commerce streams. In UG programs, BBM, BBE, BA (Hons.) English, B.Com. (Hons. ), BA (Hons.) Political Science are some of the popular courses for which the cut off often goes very high. Read more about Delhi University Courses and Fees. 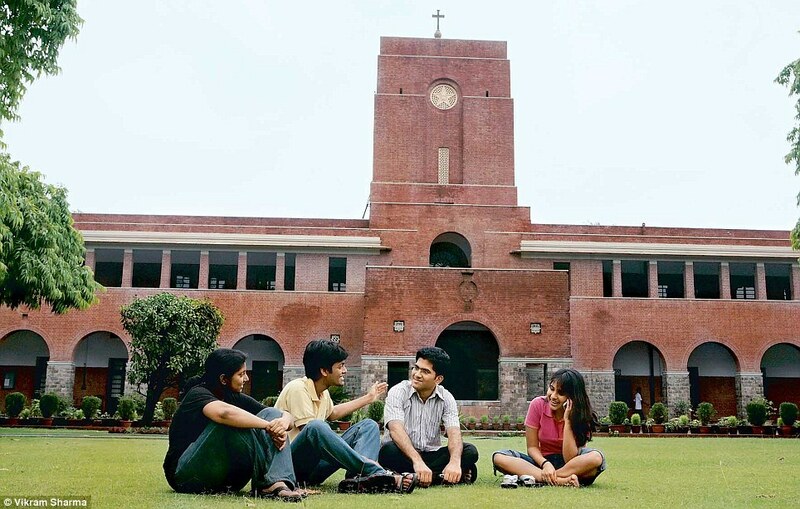 Delhi University offers UG, PG, M.Phil. and Ph.D. courses in various discipline. The admission process for all the degree programs is conducted separately. The admission to most of the UG courses offered at the University is based on merit. The University invites application in online mode from prospective candidates by the end of the month of May. The beginning of application process for UG courses at DU coincides with the declaration of 10+2 examination results by CBSE. After the application process is over, the university releases cut off score for separate colleges and courses. There are certain courses such as BBM, BBS etc. for which colleges affiliated with DU conduct entrance exams. Know more about Delhi University UG Admission. The admission to PG courses at DU is both merit-based and through entrance exams. The schedule for PG admission is declared separately by the respective departments on the university website. On the other hand, admission to M.Phil. and Ph.D. courses is entirely based on the performance in an entrance test and interview conducted by the respective department of Delhi University. For detailed information click here Delhi University PG Admission. After the application process is over for UG courses, the University releases its cut off list. Cut off is the minimum percentage required to take admission in a particular course, in a particular college. The University declares subsequent cut off lists until all the seats are filled in the affiliated colleges. DU cut off is affected by certain factors such as number of applicants in a year and the highest percentage scored by students in qualifying exam. The university allows relaxation in cut off marks to women candidates, reserved category candidates and to those who apply under the ECA quota. Also Check Delhi University Cut off. Delhi University conducts entrance exams for admission to PG, M.Phil., and Ph.D. degree programs. The entrance exam for some selected UG courses is conducted by colleges respectively. The entrance test for PG courses is conducted by respective departments of the University. The entrance exam for PG courses is generally held at the Delhi University North campus. The entrance exam consists of both objective and subjective type questions. The maximum marks for entrance test is 100. The merit list for entrance exam is prepared on the basis of marks scored in entrance exam and qualifying examination. The entrance test for M.Phil. and Ph.D. programs are conducted by the respective departments. The test is subjective in nature and tests a candidate’s ability to understand and analyze concepts related to their subject. Delhi University Results are declared within a month of the semester examination. The results are declared on the results portal of the university website. Each college also displays their respective results list on the college notice board. The results for odd semester exams are out by the end of January and the results for even semester are declared by the end of July. The result of final year students are the first to be out. Read more Delhi University Result. The objective of DU central placement cell is to get students placed in reputed multinationals, government jobs, NGOs and private sector, all registered students with CPC will be entitled to placement assistance, counseling for employment and even self-employment. The CPC will act as an interface between the industry and students and will primarily enable the students to select from their career options. It will facilitate the selection process of all the companies as per their requirement. Know more about Delhi University Placement.